In general, a Travel Plan is a package of practical measures that are tailored to either residential developments or workplace requirements. With the overall aim of promoting greener, cleaner, more sustainable travel choices to reduce the reliance on cars. Travel Plans offer significant means in helping deliver more sustainable communities. At Smarter Travel Ltd, our aim is to get you to think. Why do you make particular travel choices for the journeys you make? What are the impacts on yourself and the others around you? Instead of driving, could you walk or cycle to your destination? Travel Plans can help show the alternative means available to you. Travel Plans becoming increasingly important and The National Planning Policy Framework (NPPF) objectives are to integrate planning and transport at the national, regional, strategic and local levels.  In addition to promoting more sustainable transport choices, the Government want to help raise awareness of the impacts of travel decisions and promote the widespread use of travel plans amongst businesses, schools, hospitals and large residential estates. The NPPF sets out the main aims and objectives of Travel Plans, as well as how they fit in with planning applications. For more information on Government guidance please click here. Travel Plans are therefore an integral part of the promotion of new development and highlight how sustainable travel options can be maximised, thus improving the chances of planning approval being given. Alternatively, Travel Plans don’t have to be implemented due to planning conditions, they can be introduced voluntarily. This could be for a number of reasons including, office relocation or a desire to achieve ISO14001 Environmental Management Standard, providing a competitive advantage or improving a company’s reputation. To see how we can help you specifically, please take a look at the information on our ‘How can we help you’ page. Employer or developer? See how we can help you and your business. Please get in touch with us for more information or any questions you may have.